I have a vintage 1/2 size violin that I used to play as a child. I was keeping it for my own children, but none of them are interested in learning the instrument. Therefore I have decided to sell it. However, before I do, I need to get an appraisal, I cannot afford to go to a Luthier so I decided to try this format. 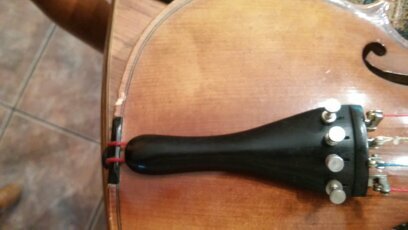 The sticker that is inside the f hole states that it was made in Germany and that it is a copy of a strad. 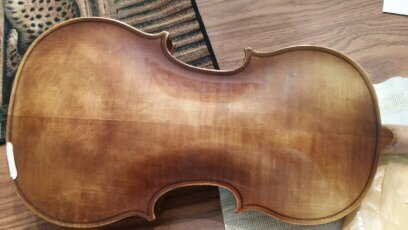 The Luthier that made the violin was named Anton Becker and there is a number 7205 P. The only thing wrong with it is that it is missing the chin rest, otherwise it is in great condition. I was hoping that someone on here can help me. Here are some pics of the instrument. I am having trouble uploading the pics. if you can help me please email me mbarre1@wgu.edu and I will send you the pictures. Thanks! Doesn't look bad to me. I like the color. I think that Ebay would bring you a fair offer with those pictures. It's probably made in China regardless of the German company that either has them produced or has something to do with the production. 1/2 size instruments are hard to sell to begin with unless they are extremely inexpensive. 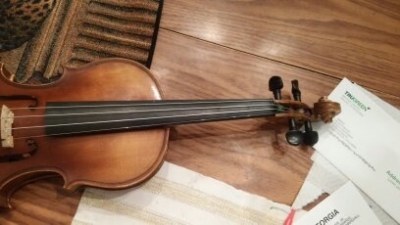 Everyone knows that a child learning on a 1/2 size violin will only be needing it for 2 years depending on when they get it and how fast they are growing. Your violin was made in a workshop in Germany between 1921 and 1943. The phrase "Made in Germany" was not in use before then. It was made in the town of Markneukirchen, where many factories operated, making instruments for export to the US. These are stil considered to be good student instruments today. 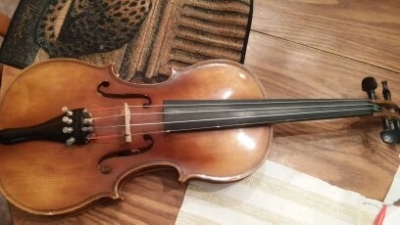 If your violin is in excellent condition and has good tone, its current fair market (private sale or auction) value is approximately $350 - $500. If you want to you could have them appraise for you, and there's a charged ($44? ).